The Arran swimmers who completed the Lamlash Splash last year. 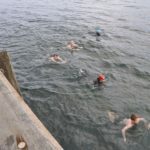 The Arran Open Water Swimmers (ARROWS) are inviting anyone who may wish to take part in the Lamlash Splash to join their club and to join them with their training. 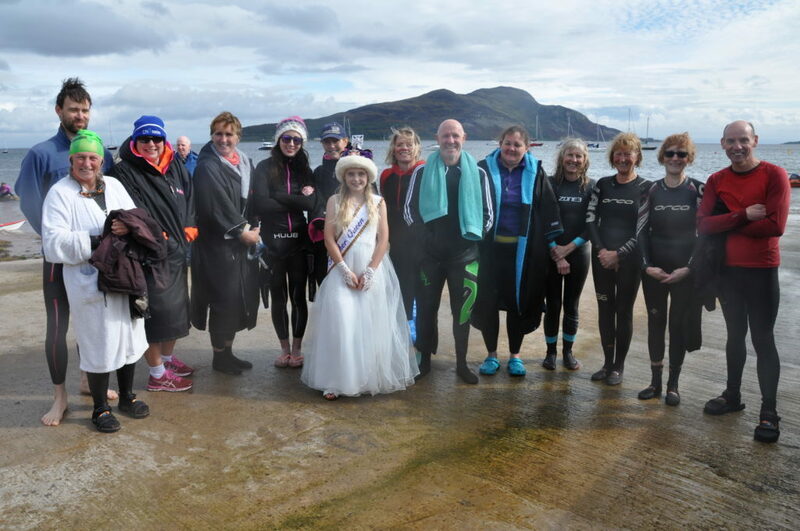 This year’s Lamlash Splash – a 1.3 mile swim from the Holy Isle to Lamlash Pier – will take place on Saturday September 21. A maximum of 40 swimmers can enter the timed, but non-competitive event, with at least ten places reserved for local swimmers. 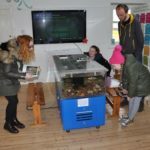 The ARROWS have continued to swim throughout the winter months and would welcome any new members who wish to give it a go once the water temperature, currently averaging seven degrees, starts to rise. May is the usual time of the year to begin training in order to be prepared for teh challenge by September. In order to swim in the event you must be able to swim 2.2 km non-stop in a pool, preferably front crawl as breast stroke is difficult in a wetsuit in the sea. It is imperative that you have some open water practice prior to the event so interested parties are encouraged to join the ARROWS either at Brodick or Lamlash to gain experience of the local conditions. Information on practice swims can be found on the ARROWS Facebook page and further information on the Splash itself can be found on the Lamlash Splash Facebook page where an entry form can be obtained.